Intrigued by the planform of the Romulan Bird-of-Prey first encountered in 2266, a team at Starfleet R&D in the 2280s set about applying Romulan design principals to one of our own starships. 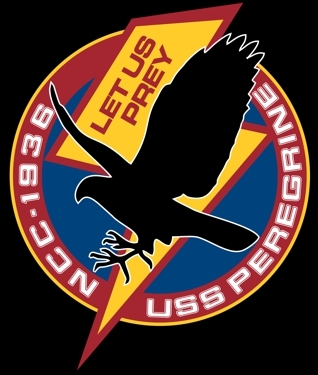 Using a new-build Miranda Class hull as a basis, and christened USS PEREGRINE in deference to its bird-of-prey design origins, the ship proved highly maneuverable at warp speeds thanks to the wide-span nacelle struts. After exhaustive testing, Peregrine was declared a success and put into regular service. A few other ships of the class were constructed and fielded, but performance over the well-established Mirandas was not so much improved as to warrant a huge class build. Above: The Peregrine in Mars orbit between deployments. 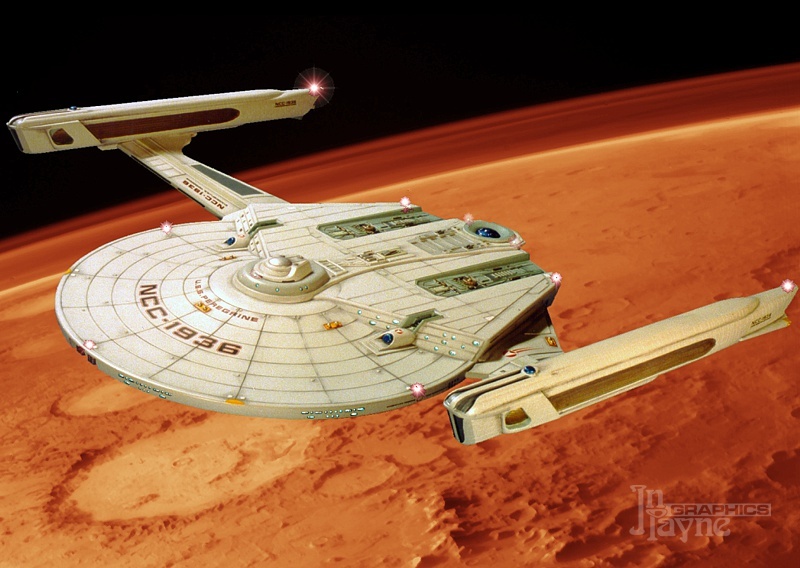 In an emergency, the nacelles could jettison,leaving the wings intact. Theoretically, the wings could have added lift to atmospheric flight during a crash landing. Happily this was never put to the test. Right: The Peregrine saw some action during the many Klingon incursions of the 2280s. 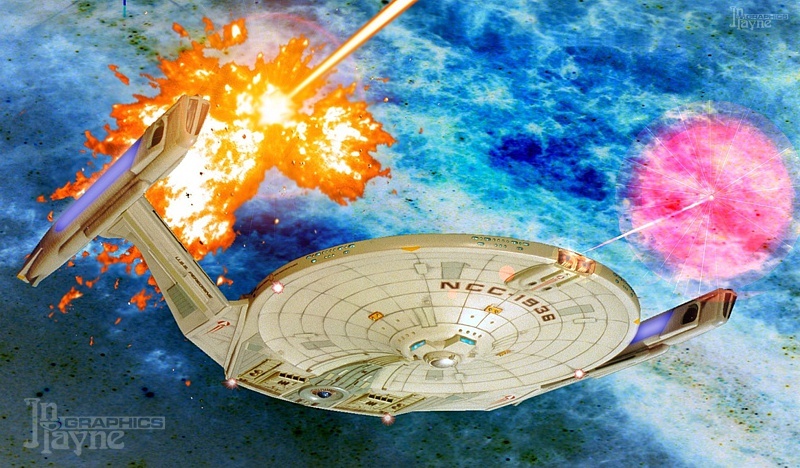 Here a Klingon burst hits one of Peregrine's countermeasures decoy drones while she brings her nose-mounted photon torpedo tubes - another borrowed Romulan design element - to bear. In one of Peregrine's most harrowing combats, she traded shots with a Klingon K'Tinga dangerously close to a planetoid's atmosphere. 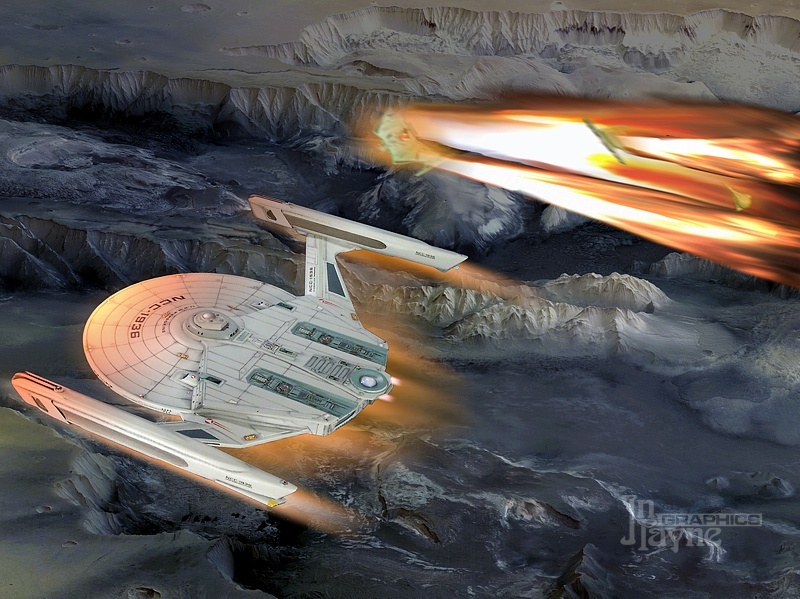 She finally scored a fatal hit, and the Klingon ship tore itself apart as it entered the atmosphere. Skirting the upper layers of the atmosphere herself, Peregrine layed on impulse power to gain altitude. to a profile chart of some of the ships in this section..